Selectmen delay final approval vote amid continued uncertainty and opposition. 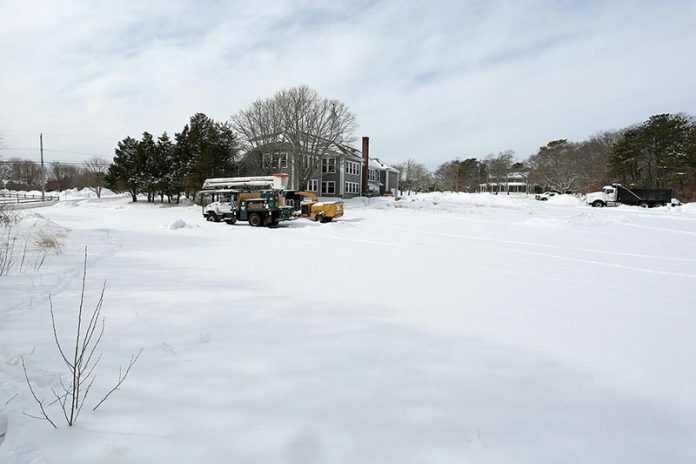 The fits and starts of the Oak Bluffs park and ride proposal continued Tuesday night, when Oak Bluffs selectmen decided to postpone a final vote on the project at their regularly scheduled meeting. Continuing operational ambiguities, and opposition from an army of one, led Chairman Greg Coogan to recommend the formation of a committee of local stakeholders, to include at least one local resident. The committee will be responsible for neighborhood outreach, will address issues raised at the hearing, and will monitor complaints throughout the summer, should the project move forward. The goal of the park and ride program is to alleviate parking congestion downtown, in nearby residential streets, and along the bulkhead during the summer season. The proposed parking lot, which is already owned by the town, is at the corner of Pacific Avenue and School Street, behind the Catholic Parish Hall and adjacent to the town hall and library. There are currently 40 parking spaces, but the total could be expanded to 80, depending on demand. The proposed park and ride bus route would run between that lot and Ocean Park downtown. Dorothy Underwood of Hampson Avenue was the entirety of the local opposition. Her withering critique of the board echoed her husband David’s highly charged complaints at the Feb. 24 meeting, when the board decided on a split, or part-time, shuttle schedule. Both Mr. and Ms. Underwood accused the board of ramming the project through without consideration for the local homeowners. Selectman Michael Santoro, chairman of the roads and byways committee, told Ms. Underwood that she raised some good points, and that the purpose of the evening’s public hearing was precisely to give local residents the chance to be heard. He explained that the location for the proposed parking lot was chosen because it’s owned by the town and it’s already being used as a parking lot, so town investment would be minimal. He added that it will be several years before the town landfill is a realistic option for a parking lot. 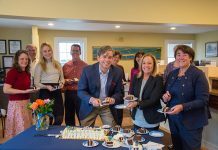 Selectman Gail Barmakian and some members of the Oak Bluffs Association had registered disappointment that the selectmen chose a split schedule, and said that employer buy-in, critical to the success of the plan, was not a given. “I don’t think there’s any doubt this won’t work if we don’t have the support of the business community,” Mr. Coogan said. Planning board chairman Brian Packish also registered his dissatisfaction with local outreach efforts, and said he too had spoken to several downtown business owners who were less than enthusiastic about the project. Many crucial details for the park and ride have yet to be worked out, including when the service will begin, how the parking lot will be monitored, and how much the service will cost the town, which depends on how much, if any, funding the town gets from the Steamship Authority and the state department of transportation. The park and ride will cost an estimated $39,000. The town share is an estimated $11,757; however, if state and SSA funds are not forthcoming, the town will be responsible for the entire amount. Mr. Lamson told The Times that he was going to recommend that the SSA members approve a town request for $10,000 at next week’s meeting. The park and ride goes before the planning board for a site-plan review on March 26. 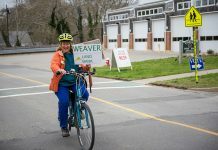 In other business, Selectman Kathy Burton stated emphatically that, contrary to a rumor circulating around town, she is not moving from the Island, that she never considered the idea, and that she is still running for re-election in this April’s election. In police business, per the recommendation of Chief Erik Blake, selectmen unanimously voted to appoint Timothy Millerick a full-time Oak Bluffs police officer.